Pick the 3 traffic light cards out of the deck and lay them face up in a row in front of the player. Pick one category of cards (whole body, eyes, ears, mouth, tail, or quiz) and separate the colored cards from the grey cards into two separate piles. Turn the colored cards pile face down and place to the side. When all the cards in the grey pile have been placed under a traffic light, turn over the cards in the colored pile one-by-one and place beside it’s matching card. Look at the colored band around the card. Does it match the color of the traffic light the card is placed under. If not, move it to the correct traffic light. Play again with another category of cards. 2 Players: Play at the same time with different categories of cards and see who gets the most right. At the end of play count the number of correct cards by each category and announce the winner. Mix up all 18 whole body cards and 2 of the Blue Dog cards and lay them face down on the table in rows. Turn over 2 cards at a time. If they match, keep them. If they don’t match, turn them back over. Play continues until all the cards have been matched. 2 Players: Same as for 1 player, only players take turns turning over 2 cards at a time. When the cards match, that player keeps the pair, and goes again. Play continues until all the cards have been matched. The winner is the player with the most cards. Object of the game: To have the most guessed cards at the end of the game. Separate the grey cards from the colored cards. Take out the traffic light cards and the Blue Dog cards. Deal the cards evenly among all the players. If some players end up with more cards, that’s OK. The player to the left of the dealer goes first. That player will pick one card from his hand and he will give clues about that card to the other players. For example: “This dog is staring directly at you” or “This dog is wagging his tail and you can see his tongue.” The other players will guess whether that’s a dog you Stop (red) and don’t go near, have Caution (yellow) and let that dog come to you, or Go (green) and approach that dog. The first player to guess correctly what color card is being described (stop-red, caution-yellow, go-green), gets that card and places it face up on the table in front of him. Play continues for a set number of rounds or until all the cards have been guessed. The player with the most cards in front of him at the end of the game wins. Only deal each player a set number of cards if you want to control the length of the game. Limit or set the number of clues that can be given to the other players. If they don’t guess, the player giving the clues gets to keep the card by placing it face up in front of them. Give guessing players only one guess. If no one gets it right, the person giving the clues gets to keep the card by placing it face up in front of them. Object of the game: Be the player with the largest pile of cards. Separate the colored cards and the grey cards. Remove the traffic light cards and the Blue Dog cards. You’ll be playing with the grey cards. Place the pile of colored cards, face down, off to the side. Place the pile of grey cards face down, in the middle of the table. Assign one person to be in charge of turning over the cards. Play starts when the first card is turned face up and placed beside the face down pile. The first person to shout out the correct answer gets the card. If no one is correct, the card is not “won” and it is returned to the bottom of the face down pile. If players are not sure what the answer to a card is, the person turning over the cards goes through the colored cards and finds the matching card to announce the correct answer. Play continues until all the cards have been won by the players. Instead of shouting out the answer, each player is given three pieces of paper at the beginning of the game in which they write the words “Stop,” “Caution,” or “Go,” each on a different piece of paper. For non-readers, have them color pieces of paper, one red, one yellow, and one green. When a card gets flipped over, players choose which piece of paper matches the card and place their piece of paper face down on the table. When all the players have put down their piece of paper, everyone flips over their paper to reveal their answer. In this version, since you will probably have multiple people with the right answer, keep score instead of giving players the card. Assign one point for each card correctly called. You can also subtract one or more points for each card incorrectly called. Object of the game: Be the first person to get to twenty points. Give each player three pieces of paper. Write one of the following words on each piece of paper: stop, caution, go. (For non-readers, take crayons or markers and substitute the words with colors or draw a traffic light on the pieces of paper, one red, one yellow, and one green. To help non-readers learn the words, print the words below the color or pictures.) Then hold the cards in your hand, so the other players can’t see them. Separate the grey and the colored cards. Place the colored cards face down, to the side. Shuffle grey cards and place in a stack in the middle of the table, face down. Designate one player to be responsible for turning over the cards and another player for keeping score. Play starts with the turning over of the first card. Each player looks at the card and decides if the dog is showing green, yellow, or red signals. When the player decides, they choose that card in their hand and place it face down on the table. When all the players have put a card on the table, everyone turns their card over. All the players that chose the correct color get one point. If players don’t remember which is the correct color/action for the card, find the matching colored card in the pile set aside, to check your answer. The first player to reach twenty points wins. If there is a tied, do extra rounds until a player is determined. Change the number of points to win. Have special rounds that are worth more points. Have special rounds where if you don’t guess right, you lose points. Set a time limit to place your cards face down on the table. Use an egg timer or a an hourglass from another game. Separate certain groups from the cards (ie. whole body or eyes) and play with select groups. Each player will need a piece of paper and a pencil. Pick a category to play with (whole body, eyes, ears, mouth, tail, quiz). Take ten cards and lay them face down in a pile in the middle of the table. Players choose one card at a time and add up the numbers in the circles, on their piece of paper, of each card they choose as play continues. When all the cards have been chosen, the player with the lowest score wins. Start with a more than 10 cards. Decide ahead of time on a penalty number that is added to the last card chosen, such as 10 or 20. Add one of the Blue Dog cards to the pile with an agreed upon card value. The Blue Dog could be a bonus or a penalty card, depending on the value you associate to it and whether players will add it, subtract it, multiply it, or divide it from their total score. Biggest Dog – Reverse the game and have the winner be the player with the highest score. Deal all of the cards evenly among all the players. Put your pile of cards face down in front of you. At the same time, each player flips over the top card on their pile. The first player to shout out the sum of all the cards being shown, wins those cards. The player with the most cards at the end of the game, wins. Depending on the age of the players and how many are playing, you can substitute addition for subtraction, multiplication, and division. You can also play with all four math skills by allowing the winner of the last hand to choose the math type that will be used in the next hand. Put in the Blue Dog cards and assign them a higher value such as 25 or 50. Each player picks a category and shuffles all eighteen cards in that category. They place the cards in a stack face down in front of them. The player with the highest numerical answer, wins all the cards. If each player has a number sentence with the same answer, then it’s war. Each player puts three cards in front of them and has to do an equation with three numbers. The player with the highest sum, wins all the cards. Play until you go through all your cards. The player with the most cards wins. Include the Blue Dog cards and the traffic light cards. Assign them a value such as 10 or 20, ahead of time. Continue playing for a specified period of time, such as 10 or 15 minutes. Play with addition, subtraction, multiplication, and division. Play the main game with one math operation and play the war portion of the game with another. For example, play the main part of the game with subtraction, and play war with addition or multiplication. This game was adapted from Subtraction War by Sally Stanley. Object of the game: To have the lowest score at the end of the game. Remove the grey cards, the traffic light cards, and the two Blue Dog cards. Play with just the colored cards. Assign one person to be the score keeper. They’ll need a piece of paper and a pencil or pen. Deal six cards face down to each player. The remainder of the cards are placed face down in the middle of the table and the top card is turned up to start a discard pile beside it. Players line up their six cards in two rows of three in front of them and turn two of the cards face up. The remaining cards stay face down and players are not allowed to look at their cards. Players will use the numbers on each card to determine their score. The object of the game is to have the lowest value of cards in front of each player by swapping them for lesser value cards. The player to the dealer’s left starts the game by picking a card from the stock pile or the discard pile. The drawn card can be swapped for one of that player’s six cards or it can be discarded. If the card is swapped for one of the player’s face down cards, the new card remains face up. The round ends when all of a players’ cards are face up. Each player adds up the numbers on their cards to arrive at their score. The score keeper writes down each player’s score. A game is nine “holes” or rounds and the winner is the player with the lowest score. To make the game move a little faster, you can play for a fewer number of rounds than nine. Object of the game: To have the lowest score. Decide ahead of time how many rounds you will play. Each player will need a piece of paper and a pencil or pen to keep their score. Remove the traffic light cards and the Blue Dog cards. Shuffle the remaining cards and place 20 cards face down in the center of the table. The player to the left of the dealer picks first. He may choose one, two, or three cards at one time. The player will add together the sum of the cards he picked, but if he chose a 3 or a 9, he gets to subtract that number from his current hand. Players will write down their score from each hand and add them together for a final score. Play goes around the table until the last card is drawn. The player at the end of the game with the lowest score is the winner. Change the number of rounds played. 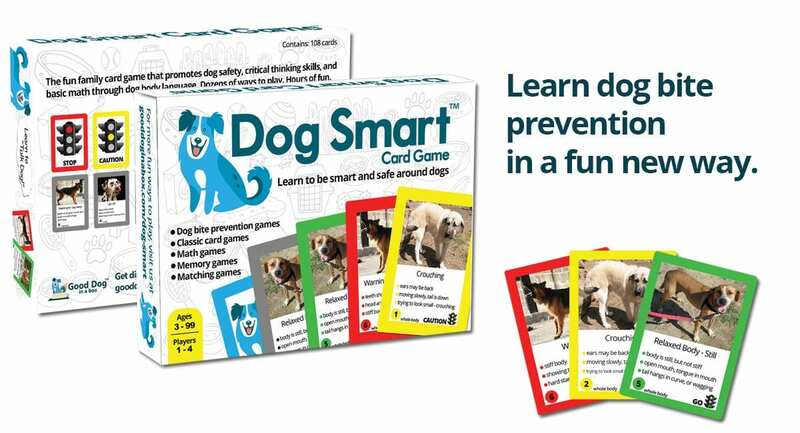 Include the traffic light cards and / or the Blue Dog cards and assign them a value. For example, the traffic light cards could each be worth 10 points, but the Blue Dog cards are worth 25. Obviously, players would want to stay away from the Blue Dog cards. Change the winner of the game from the lowest score to the highest score. Instead of adding totals together, multiply them. Object of the game: To have the most cards. Remove the Blue Dog cards and the traffic light cards. Shuffle the remaining cards together. You can play with one deck or both decks. Deal out five cards to each player, face down. Put the remaining cards in a pile to the side of the dealer. The dealer says “Go” and each player has to add the total of their five cards, in their head. When they have the total of the five cards, they shout out the number. Play stops and the other players add up that players cards to make sure they added correctly. If they did, they get all the card sets from each player. If they were wrong, they are out for the rest of the hand and their cards will go to the winner of the hand. Play resumes with the remaining players adding up their hands and the first one to shout out the total, correctly, gets all the cards of each player. Another set of five cards is dealt to all the players and and play continues. The winner, is the player at the end of the game with the most cards. To speed up the game or make it longer, adjust the number of cards played with at the beginning. Deal more or less than five cards, depending on the age of the players. Instead of addition, use multiplication. Or switch back and forth from an addition round to a multiplication round. Include subtraction by picking a number (for example 25 or 50 or 100) and subtracting the numbers in each hand from that number. Object of the game: To arrange sets of 3, 4, 5, and 6 cards to create the largest numbers possible. Remove the traffic light cards and the Blue Dog cards. Shuffle the remaining cards and deal six cards to each player. The goal of the game is to arrange the six cards into two numbers of the largest possible value. For example, if a player received a 9, 5, 3, 2, 8, and 4, they could make 953 and 842. The player that creates the largest number gets all the other players cards. The winner is the player that ends up with the largest number of cards. As players progress, increase the number of cards dealt to eight cards (players have to create two number of four digits each), ten cards (players have to create two numbers of five digits each, and twelve cards (players have to create two numbers of six digits each). Decide ahead of time how many rounds you will play or how many cards you want to start with (one deck or both). Take out the Blue Dog Cards and the traffic light cards. Use all the colored cards. Lay all the cards face down in rows in front of the player. Turn over three cards at a time. You’re looking for three of the same color and the same category. If they match, keep them. If they don’t match, turn them back over. 2 Players: Same as for 1 player, only players take turns turning over three cards at a time. When the cards match, that player keeps the pair, and goes again. Play continues until all the cards have been matched. The winner is the player with the most cards. Object of the game: Match the most pairs of cards. Remove the traffic light cards. Shuffle all the remaining cards and lay them out in a giant circle on a table or on the floor with smaller circles inside the giant circle. Players take turns flipping over two cards. If they match the player keeps the cards and goes again. If they don’t match the player flips the cards over and the next player goes. Change the configuration of the cards when setting up the game. Object of the game: To be the first person to match all their cards. Sort all the cards into pairs, one grey card and one colored card. Remove one of the traffic light cards, since it won’t have a mate. Now divide the pairs evenly between two players. The two players shuffle their decks and place the cards face down in rows in front of them. Play starts and player one turns over two cards at a time. If they match, keep them and go again. If they don’t match, turn them back over. Then the next player goes. Play continues back and forth until one player has matched all the cards. That person wins. Players don’t take turns, but instead do speed rounds of continuously turning over pairs of cards until the first player has matched all their cards correctly. That person is the winner. Remove one of the traffic light cards. Shuffle all the remaining cards and lay them out on the floor in no particular order or grid. Make a big mess of the cards and lay them out everywhere. Players play in a speed round where they are both turning over pairs of cards at the same time, as fast as they can. The first player with the most cards wins. Object of the game: To have the largest stack of cards at the end of the game. Deal all of the cards evenly among all the players, face down. Include the Blue Dog cards. Put your pile of cards face down in front of you. Don’t look at your cards. The player to the right of the dealer starts the game by turning over the first card in his or her pile and placing it face up in the middle of the table. Play continues around the table with each player adding a card to the face up pile. When a Blue Dog card is turned over, players call out “Good Dog,” and try to be the first to cover their hand over the face up pile. Whoever covers the face up pile first, gets the entire stack of cards and adds it to the bottom of their pile. Play continues until a player has no more cards, but they still have one more chance to cover the next Blue Dog that appears. If they miss the next chance, they are out of the game for good. The last person in the game is the winner. To make the game move a little faster, you can also include the 3 traffic light cards. Players have to call out “Go,” “Caution,” or “Stop” depending on which card appears. If they are the first to call out correctly the word on the card and cover their hand over the face up pile, they get the entire stack of cards. Instead of using all the cards in the deck, use half. Object of the Game: Silly fun. Deal all of the cards evenly among all the players. Use the traffic light cards and the Blue Dog cards. One by one, each player flips over the top card on their pile, without looking at the card, and places it in the middle of the table. The last person to do the gesture is the loser of the round and has to take all the cards on the pile. Play until everyone has had enough or set a timer for 10 or 15 minutes at the start. You can substitute your own gestures or words to call out. Object of the Game: To complete a set of 10 cards in numerical order from 0 to 10. Deal 10 cards to each player, face down, in two rows of five cards. Set the remaining cards, face down, in the middle of the table. The player to the right of the dealer goes first and draws the first card from the top of the deck. Say the card is a seven. The player would put that card in the seventh position of row of cards. He would pick up the card that was there originally and look at it. Say it was a five. He would put that card in the fifth place and pick up the card that was originally there. Say it was a seven. He already has placed a seven in the seventh position, so he discards this card in a discard pile in the middle of the table, beside the face down pile, and play moves to the next player. 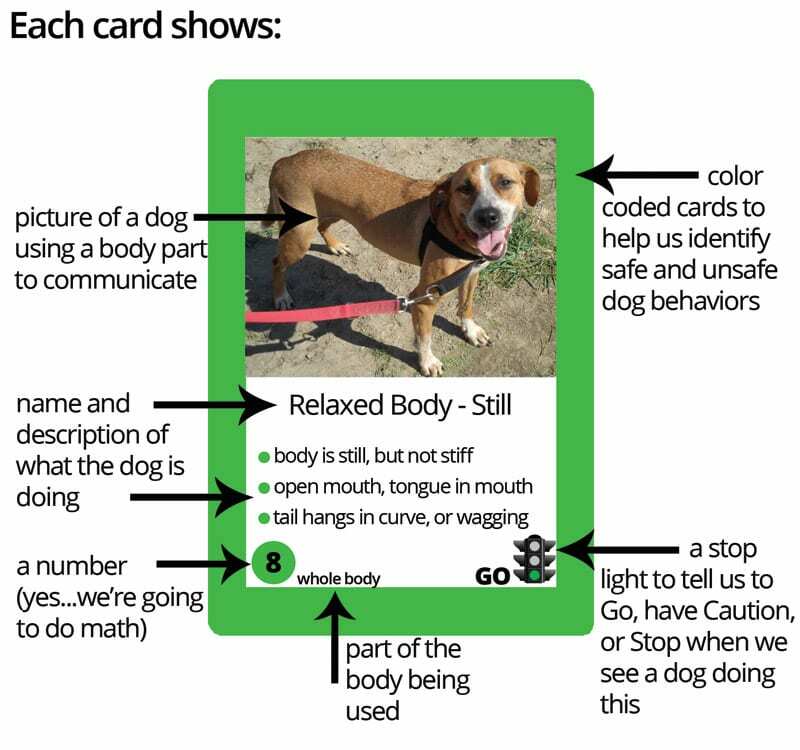 If a Blue Dog card is turned over, it is a wild card and can be used in any position. Add the traffic light cards in as wildcards or cards equal to a certain number. Object of the Game: Be the first person to get rid of all your cards. Remove the grey cards, the traffic lights, and the blue dog cards. Shuffle the remaining cards. Each player sorts their cards into categories (whole body, eyes, ears, mouth, tail, and quiz) and colors. The “asker” starts the game by asking another player for cards that will match his hand. If the “asker” has two yellow whole body cards, he will ask for a yellow whole body card. There are three cards in every category color set. If the player being asked has that card, he must hand it over. Anyone that collects all three cards in a color/category set, puts them face up on the table in front of them. The winner is the person to have no single cards left. Object of the game: Discard all your cards first. Put the remaining cards facedown in a pile, with the top card turned up beside it. This is the discard pile. The player to the right of the dealer discards a card from his hand that matches either the number, the category, or the color of the top card in the discard pile. For example, if the card is a yellow eyes card with the number 5 on it, the player could play a card that had any of those features. Eights are wild and can be put down on any card. The next player must match their card to the number, the category, or the color of the card the previous player discarded. The first player to use all his cards wins. If the deck runs out before the game is over, the discard pile can be turned face down and used. Object of the game: Be the first player to turn all their cards face down. Remove the traffic light cards. Divide the two decks into colored cards and grey cards. Deal out ten colored cards to each player face up. One person is chosen to be the “Caller” who will call out the card values that players have to match in their “Bingo” hand. From the deck of grey cards, the “Caller” will select one card at a time and will call out the card category, name of the card, and the color. For example: “Whole Body – Relaxed Body Still – Green.” The picture must also match. If a player has this card in front of them, they turn the card face down. The first player to turn all their cards face down wins. To make the game faster or slower, you can deal out more or less than ten cards. You can play with a limited number of categories. For example, just the whole body and eyes cards. Object of the game: To have the most sets of cards face up in front of you. Play with the colored cards. Remove the traffic lights and the Blue Dog cards. Deal the entire deck evenly among the players. The player to the left of the dealer starts the game by requesting a color and category from another player. Example: “Give me a yellow eyes card.” If that player has a card matching the request, they must hand it over. The player continues to ask other players for cards as long as the player receives the card requested. If not, the turn passes to the player on the left. As soon as a player collects all three cards of the same color and category (all 3 yellow eyes cards or all 3 red whole body cards), he lays those cards face up in front of him. Play continues until all the cards have been laid down. The player with the most sets of cards in front of them wins. To make the game easier for younger players, you can play with the grey cards and ask for just categories. For example, “Give me a whole body card.” Players can still lay down sets of 3 cards when they collect them. Object of the game: To have the most cards at the end of the game. Separate the grey and the colored cards. Take out the traffic light cards and the Blue Dog cards. Deal all the colored cards face down, evenly between the two players. Each player turns up a card at the same time and the player with the highest number on their card takes both cards and puts them face down to the side. If the cards turned over both have the same value number on them, it’s War. Each player counts out three cards face up and adds up the score of all three cards. The person with the highest card value gets all the cards. The person with the most cards at the end of the round wins. Play with more than two people. Use both decks. Use the Blue Dog cards. You can assign those cards as wild cards where that person always wins the hand or loses the hand. Use the traffic light cards and assign them a value of 10 or 20 ahead of time. Object of the game: To be the first player to get rid of their cards in a round. Win the entire game by being the first to win five rounds. Separate the grey and colored cards. Take out the traffic light cards and the Blue Dog cards. Play with the colored cards. Deal out cards in the following manner: two players get ten cards each, three or four players get seven cards each, five or six players get six cards each. The remaining cards are placed face down in the middle of the table and serve as the stock pile. The top card of the stock pile is turned face up and set next to the stock pile. This is the discard pile. The object of the game is to get rid of your cards as you group them into “melds.” A “meld” is a set of three of a kind (same color and category – yellow eyes cards or red whole body cards), or a “run” is three or more cards in numerical order in the same category (two, three, four of the whole body cards). Each player groups all their matching cards and runs together in their hand. Don’t show the other players your cards. The player to the left of the dealer goes first by taking the top card from either the stock pile or the discard pile. If the player has a meld or a run, he will lay it down on the table face up. Then he will discard another card from his hand by placing it face up in the discard pile. Players can also place a card down on any existing run if they have a card that is next highest or lowest consecutive number. The game continues clockwise around the table with players drawing a card from the stock or discard pile, making melds and runs and laying down a card in the discard pile. The first player to get rid of all their cards wins the round. Win the entire game by being the first player to win five rounds. Use the Blue Dog cards and / or traffic light cards as wild cards. If any of these wild cards are used to make up a meld, if another player has a card that matches that meld, they may lay down that card during their turn, just as they can lay down a card in an existing run that has been laid down by another player. Object of the game: To get all the cards. Separate the grey and colored cards. Remove the traffic light cards and the Blue Dog cards. Deal all the cards to the players until there are no cards left. Some players may have more cards than others, but that’s OK.
Players don’t look at their cards but keep them face down in piles in front of them. The player to the left of the dealer turns over his top card and places it face up next to his own pile. This continues until a player notices that two cards on top of the face up piles are the same, such as two of the numbers match (two number fours) or two of the categories match (two ears cards). The first player to notice and shout out “Good Dog” receives all the cards in both of the matched piles and adds them to the bottom of his face down pile. Play continues with a new player turning a card over. If two players shout “Good Dog” at the same time, they form a snap pool with the two matched piles of cards placed together in the center of the table. Play continues until someone turns up a card that matches the top card in the snap pool. Whoever shouts “Good Dog Snap” first takes the whole pool and adds it to the bottom of their face down pile. If a player mistakenly shouts “Good Dog” he has two options: he can give every player one card from his face down pile or his entire face down pile becomes a new snap pool. If a player has no more face up or face down cards, he’s out of the game. The winner is the player with all the cards. If playing with more than two players, use all the cards. Object of the game: To not have the Blue Dog card at the end of the game. Separate the grey and colored cards. You’re going to play with the colored cards. Take out the traffic light cards and one Blue Dog card. Leave one Blue Dog card in the deck. This is the Old Maid. Deal all cards face down to players. Some players may have more cards but that’s OK.
Each player sorts their cards into matching pairs of the same number (example: two nines of different colors) or the same “suit” (example: same color and category – two yellow ears cards). Don’t show these cards to other players. Players holding pairs of matching cards lay them down on the table, face up. If anyone has three matching cards, he only puts down one pair and keeps the spare card. The player to the left of the dealer offers his cards to the player on the left, who can’t see them. That player picks one of the cards from his hand. If the new card matches any of the cards that player has in his own hand, he puts down the pair in front of him, face up. If not, he keeps it in his hand. That player then offers his cards to the player on the left. Play continues around the table until all the cards have been put down in pairs, except the Blue Dog card, which can’t be paired. The person left holding the Blue Dog car is the old dog and loses the game.